Jones tours the City of Gold, and meets 7 deadly dwarfs, 3 baby dragons, and his dead ex-girlfriend. Silicon Jones is one of my favorite characters from the Maven Fairy Godmother universe, and he is, in fact, Maven’s first antagonist in what will probably now be book three. His real name is Brewster, but as a computer wizard, he goes by Silicon. He is always jonesing for something, a good time, Tulip, or more beer. These three short stories that will give a reader familiar with Maven Fairy Godmother: Through the Veil an understanding of why Tulip fell for him and what he’s been up to since then. “The City of Gold” shows how Silicon Jones is able, unconsciously at times, to move between dimensions, sometimes remembering what he learned there, and that for him, time is always linear…he can’t go back to his previous self. Probably a good thing at that. In “Adventures in Dragon Sitting,” our hero, still a child at heart, must rely on his “uncle” skills to escape being eaten by three toddler dragons while convincing their mother that he can give her a bit of self-care time. Mama Dragon expects the kids to eat him, but they are all surprised at the solution to his escape. Escaping with his skin intact is often the theme to Jones’ life, which leads him to meet “Seven Deadly Dwarfs” all of whom are female and lacking in male companionship. He’s in great demand, especially by his dead ex-girlfriend Red and her new minions, the Deluge Ions. Here he has a cross-dimensional challenge which is the prequel to a novel which is in the planning stages. 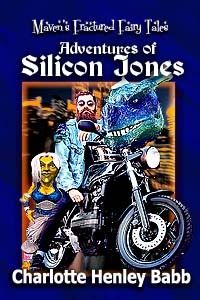 Give Silicon Jones a look on Smashwords or your favorite ebook retailer. And if you like him, please leave a review. 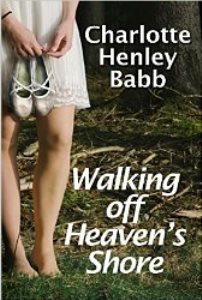 This entry was posted in Babbling, Book release, Maven Fairy Godmother and tagged fantasy adventure, fantasy short story, funny fantasy, Maven Fairy Godmother, silicon jones. Bookmark the permalink.